June was an absolute pleasure to deal with for the sale of our condominium on Siesta Key. She offered advice that came from her many years of real estate experience, and she was always easy to talk to whenever it was time to make or revise a decision. In the end we were extremely happy with the outcome of our sale. We highly recommend June for others who wish to sell property. I believe you will not find a finer real estate professional than June. In years past I have transferred to several place during my business career and as a result have worked with many real estate people, good and bad. Considering the nine home I have purchased and sold and the real estate people I have worked with I can truthfully say none of them were better than June. June has a great knowledge of her profession, the Sarasota and surrounding areas, all the various support functions such as insurance, closing and title companies, utilities companies, management companies, etc., and she knows how they all interface. She is extremely patient, more interested in seeing that she finds the right property for her clients rather than just closing the sale and pocketing the commission. I hate it when after one day of looking at properties the real estate person says, “ now tell what you liked about property A or what you did not like about property B, or which of the properties we saw you liked best etc. etc.”. I never once heard comments like that from June. Because she instinctively knew what my wife and I liked about a property or did not like. Her follow up is unbelievable and her communication skills are outstanding. She follows through on what she says she will do, she is right there on top of every step in the selling process making sure nothing is left to chance, and she knows how to handle the unexpected. June is a real estate professional and there are many in the real estate business who are not. June will not disappoint. June has helped me to sell two properties, buy another, and, with my recommendation to an old friend, sell another property with a difficult permitting problem for out-of-country relatives. My first experience with her years ago was when a very young, brash, buyer's realtor tried to steamroll additional funds at closing, even after a satisfactory inspection. June handled it in her quiet, professional, way. Another unusual experience was the discovery at the last moment of an old oil tank buried in my yard. She knew who to call and it was immediately, economically, removed. She is knowledgeable, knows how to get things done, and, I might add, a pleasure to work with. I have been a Realtor myself since 1977, so when I looked for a Realtor to handle the sale of my home, in Sarasota, I naturally turned to June Howell, who is among the very best I have ever encountered. Her knowledge and devotion to work are outstanding; she is careful about details, smart about negotiating and stays in constant touch with her clients. We want to express our gratitude for all your help and hard work. We appreciate your dedication to helping us find the perfect house for our family. Your extensive knowledge of the neighborhoods, schools and lifestyles of the area were invaluable to us. - Mike and Alicia A.
June is an incredible agent! She helped us find our second home in Sarasota a few months back, and was responsive, patient, transparent, available, and a great listener. Once we narrowed down our range and location, June put together a list of properties to visit across our price range and led us through each property, allowing us to observe and draw our conclusions, offering only insights and questions we didn’t or couldn’t think of. She also went out of her way to reconnect with us or collect things we needed to give her for the purchase, and was so genuine and joyful with and for us after the deal was done. Kind, warm, helpful and always there to respond to questions via email, text or voice. We could never have asked for anything more. Highly recommend June Howell as an agent! June Howell worked patiently with us for 15 months before she found the home we were looking for. Most of this was done long distance as I am still working in Chicago. I could not believe the enthusiasm and dedication she brought to the task. June made us feel like family rather than clients. After finding us a new home, she quickly sold our existing home for a price way beyond my expectations. - Mary Jane and Lino C.
June Howell is a wonderful agent. She is very dedicated to getting the homeowner what they want. She listened to our needs and zoned in on the right home for us. We were informed of the pros and cons of each home. Nothing was sugar coated. Being honest helped us find the perfect home. She went the extra mile at our closing and made sure nothing was left undone. We find her to be more of a good friend looking out for us rather than an agent trying to just sell us a home. - Veronica & Robert B.
I am sending just a short note to express our gratitude for all your help and hard work. We appreciate your dedication to helping us find the perfect house for our family. Your extensive knowledge of the neighborhoods, schools and lifestyles of the area were invaluable to us. During the listing and selling process you consistently demonstrated professionalism and experience as well as punctuality and follow-up. ...everything went smoothly in a marketplace that is anything but smooth. Thank you for your professional services and insight. You have our utmost admiration and gratitude for your efforts in selling our home. - Ronald and Helen M.
I cannot praise the professionalism of June Howell and Lenore Treiman enough. The assistance that they provided me in both home selling and then home buying was truly exceptional. They guided me through the complicated process flawlessly. Through the tough negotiations, numerous deadlines and the never-ending texts, e-mails and phone calls, they were amazing. To top it all off, they are both very nice people. I can't thank them enough. ..We are finally unpacked, the pool heater has been connected, Julia is happy at the new school, and Andrea hasn't put me through any heavy house cleaning chore this week! Yet.. So it seems we are settled and all of us love the house, the neighborhood and especially the weather. We are very Happy! Thank you, Thank you, Thank you! - Carlos , Andrea & Julia E.
My husband and I had the pleasure of working with June to sell our condo on Siesta Key recently. June went above our expectations. her expertise and knowledge of Siesta Key was very evident. June was timely and it was very appreciated, she always communicated with us be it by text, cell or email , she never missed a beat. If we had a question, she responded quickly and no sooner said than done, which we treasured. Most importantly, June is a nice person, very easy to work with and she enjoys what she does and it shows! If you are selling or buying a home, we would highly recommend June Howell, she knows her business! - Lou & Marianne C.
Excellent! We clicked from first moment - June's most respectful of others' wishes and always offers a balanced, calming approach in the most harried of times! Her attention to detail is magnificent. I would never hesitate to recommend her assistance to anyone. Thanks again June - it was almost painless! Thank you so much for all your help with buying our new home. You are by far the best agent I have ever dealt with. You were very patient with us and I appreciate that. I also feel you worked hard for us and looked out for our best interests, versus other agents who just care about closing a deal. 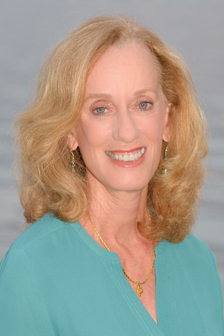 June Howell did an excellent job in selling our condo on Siesta Key while we were out of the country. We have found her to be very professional and quite knowledgeable about the market. She is an excellent communicator keeping us fully informed at all times and has a very warm personality which make you feel very comfortable and at ease. June made excellent recommendations, was always accessible and followed up various matters very closely. She is definitely very dedicated in her work and we have no hesitation to recommend June. I want to let you know that my experience selling my condo on Siesta Key was exceptional. June Howell is a true professional. Her knowledge of the market as well as her compassionate nature left me feeling well taken care of during a very difficult transition in my life. Her patience and caring put my mind at ease while I was in Illinois and the condo was in Florida. June Howell gets the job done! We listed our home with June after another realtor created a debacle for us, and within days of moving out. June somehow managed to get pictures of the house, list it on MLS making the house look fabulous - even though it rained three days straight! We moved out the day the house listed, and it was sold the next week! She understood the emotional turmoil associated with the other realtor, and helped us to feel calm secure and cared for through the whole process. Her people skills, willingness to communicate with us and professional competence allowed us to focus on the other things we needed to without worrying about whether the job was going to get done. I was referred to June earlier this year. What I quickly found was that there were a lot of available options. I provided my key requirements to June and she found a lot of matches. As I got a better appreciation of the market, we refined our search with an unbelievable # of requirements. With that we went one weekend and I ended up making an offer on a brand new home. "I cannot praise the professionalism of June Howell and Lenore Treiman enough. The assistance that they provided me with both home selling and then home buying was truly exceptional. They guided me through the complicated process flawlessly. Through the tough negotiations, numerous deadlines and the never-ending texts, e-mails and phone calls, they were amazing. To top it all off, they are both very nice people. I can't thank them enough." We just completed our 5th closing with June. For each purchase and sale, June provided excellent care for us. Each one created its own challenges, yet June’s knowledge and experience got us through each one. We enjoyed working with June and would not hesitate recommending her to family and friends. We used June when we bought and when we sold. I can't say enough good things about her and enough thank yous for all the help she gave us both times. When we were ready to buy, the home June thought would meet our needs did meet it. In fact, the longer we lived in it, the more we realized what a wonderful home we had, and that shows that June understood us well. We were long distance buyers, but June was working here on our behalf, so our place here was ready for us when it was time to move in. When it was time to sell, it was only natural to use June again. Again, all expectations exceeded. It was the smoothest and easiest sale of all the homes we had owned over the years. June's expertise and professionalism cannot be beat. She will make every effort on your behalf, and do it graciously. Her service and professionalism were evident both times, and I recommend her with no reservations. June Howell did an excellent job for us in selling our home in Deer Creek. She was extremely proactive and responsive -- either with quick email updates or phone calls and quite often a combination of both. June also knows the market and market conditions and advised us quite well on the right 'price to sell. If you need a top notch realtor who knows how to make things happen and can close the deal, I definitely recommend June Howell. Ruth and I are very satisfied with the professional relationship we had from the listing to the closing. This required more than normal problems that were expeditiously handled and resolved. You are a true professional Realtor in all respects and represent Michael Saunders in an exemplary manner. We also appreciate your time and effort to accomplish everything that had to be completed. As a former residential building contractor in Sarasota, I have worked with several local realtors – some of them very good. However, you are head and shoulders above them all in manner, knowledge and professionalism. Ruth and I feel fortunate to have had you represent us in the sale of our home. We have had the privilege of working with June since we arrived in Sarasota seven years ago. She has guided and assisted us through three real estate transactions during that period. Each experience has produced challenges. June dealt with each situation professionally and calmly. We greatly appreciated her advise, expertise and concern during this most recent and rather stressful transaction. I have referred several people to June and will continue to do so in the future.